I know, that’s a terrible line, but Izotope said it and it’s funny to me because every new product seems to tell us to “think out of the box” about their “groundbreaking” this and “world’s first” that. So a bit of self-awareness should be celebrated. 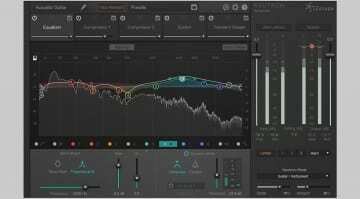 Anyhow, iZotope have released VocalSynth which is a plug-in designed to process vocals in interesting ways. 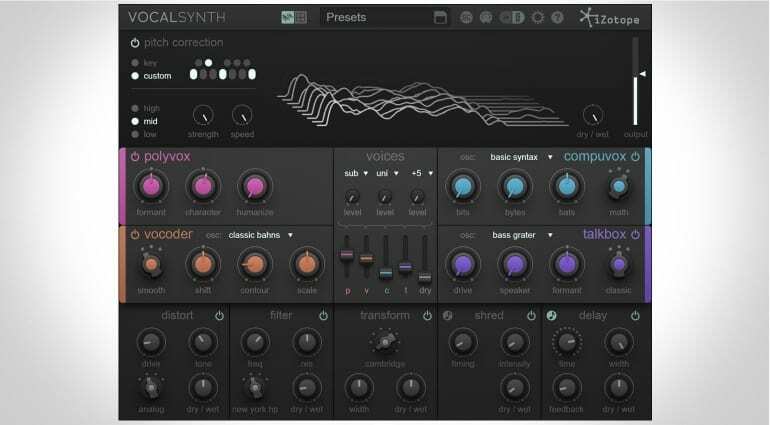 Not entirely sure why they are calling it a synthesizer but I guess it separates it from the usual vocal processing of channel strips and compressor type plug-ins as this is certainly not that. So what is it? 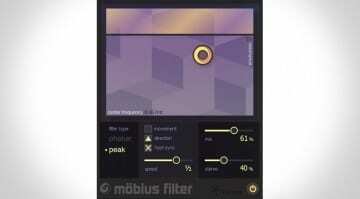 VocalSynth is a tool for messing about with vocals. It comes with four vocal engines: Vocoder – for robotic vocals, Polyvox – for organic harmonies, Compuvox – for glitchy digital speech and Talkbox – for singing synthesized sounds. So it seems to be a bit of a Daft Punk plugin – the demo video definitely has that feel to it and mixes it with GLaDOS from Portal and a touch of Sparky’s Magic Piano. And there’s a lot of fun to had with that combination. The Vocoder doesn’t appear to need a MIDI input to “play” the sounds like you’d normally expect, as it bases the sound on its own pitch detection. The Talkbox emulates the kind of sounds you’d get with the desperately unhygienic Jimmy Bean Voice Box that required you to put a PVC pipe in your mouth in order to shape the sound and shower the audience in dribble. The Polyvox suggests automatic harmonies but these are not in the sense of creating backing vocals like with a Helicon box, this is for weird and wonderful artificial sounding harmonies. And finally Compuvox is obviously Stephen Hawking in a Karaoke pub. 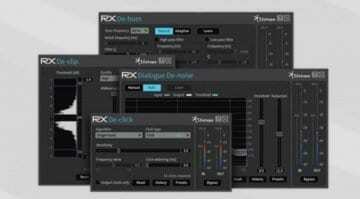 Although MIDI input is not needed it does remain as an option so you can shift your voice to match the notes. At the bottom of the plug-in there’s a bunch of vocal-focused effects. Along with the pitch correction you have distortion, delay, a fliter, Transform – which models different amp and speaker configurations, and Shred – a beat repeating technology for a bit of rhythmic glitchiness. The GUI looks great, I like the old school 3D wave display at the top and I’m also enjoying the sense of humour that seems to run behind the marketing and demos. iZotope know that a lot of what VocalSynth does is quite funny and they are fully embracing that. iZotope VocalSynth is available now for USD 149 until the 16th June when it returns to USD 199, for OSX and Windows in AAX, RTAS, DPM, VST and AU formats. More information can be found on the VocalSynth product page.